In this collection, you will find sons of top sires such as Cornet Obolensky, Vivaldi, De Niro and Totilas. 18 young stallions with something special! Some of them have already been accepted for the licensing. 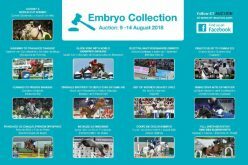 A very special selection for the 2nd Online Young Stallion Auction. Don’t miss it: Your chance to buy one of these amazing stallions starts on 27 September and ends on 7 October. Cornet Obolensky appears four times in the auction candidates’ pedigrees. “Cornet”, who inspired the whole show-jumping world with Marco Kutscher, performing amazing rounds: In Madrid where he helped the German Team win the gold medal at the European Championships, with his victories in the World Cup of Zurich or Nations Cups of Rome and Rotterdam as well as at the Olympic Games in Hong-Kong. 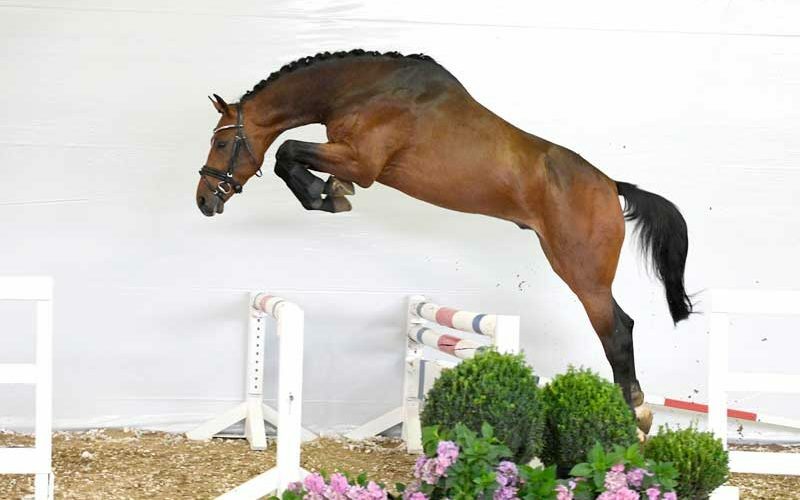 Cornet Obolensky’s sire Clinton, who was ridden by the Belgian rider Dirk Demeersman, was one of the most successful show-jumping stallions in the world. 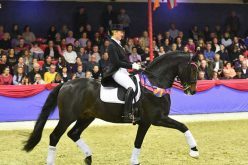 Cornet Obolensky’s dam sire Heartbreaker was also successful in international competitions and both dam Rabanna and grand-dam Holivea have proved their abilities in sport at high level. Performance blood from beginning to end – Cornet Obolensky’s success was no coincidence. 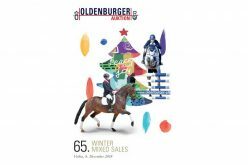 Performance blood from beginning to end – this was also an important criterion for the selection of the horses for this second PS Young Stallion Auction. 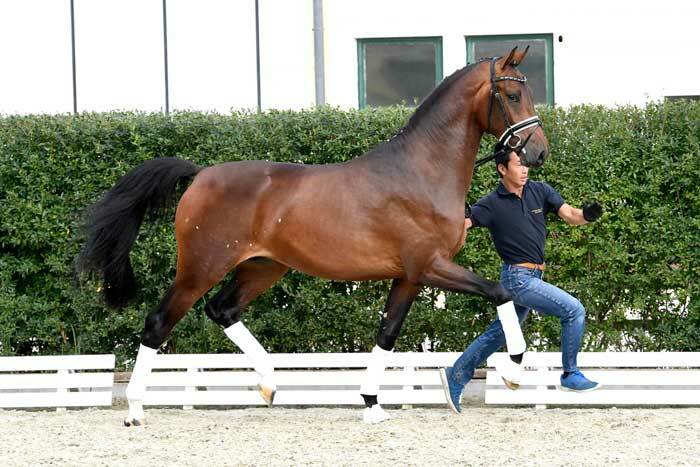 Let’s take a look at the dressage stallions: Vivaldi is the sire of 3 stallions of this collection. Vivaldi, who impresses under saddle with type and movement and who stands as sire of licensed stallions and numerous champion mares worldwide. De Niro is also represented in this selection of stallions, as sire and grand-sire. 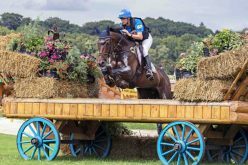 De Niro, who proved his sporting abilities by winning the German Dressage Derby and who led the ranking of the best dressage sires in the world for five years (!). 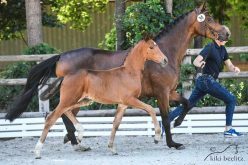 Or Totilas, triple world champion, who has also set breeding records – with several German National Championship participants, more than 20 licensed sons and sire of the most expensive foal of all times, Total Recall, auctioned for 200.000 euros. Last autumn, the PS Team selected and auctioned eight young stallions, and the demand was huge. 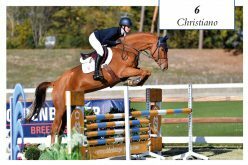 This year, the PS experts looked even harder and selected 18 candidates for this stallion auction. 18 candidates with something special means 18 chances of tomorrow’s superstar. The PS Online Auction begins on 27 September and ends on 7 October.